Swasthavritta: Ayurvedic Approach to Healthy Life, is a science which prescribes the theory, practice and maintenance of healthy lifestyle. 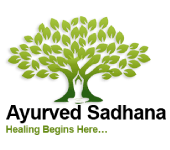 The main emphasis of this class is to connect the dots between Ayurveda and Hygiene in our daily life. It mainly emphasizes on following a proper daily regime as well as seasonal regime. The class will provide students with knowledge about Jala Chikista, Sun Chikista, langhana (Fasting), exercise regime, preventive measures and curative measures and pathya-apathya vicharas (healthy living and eating habits), etc. Dates: Class is every Thursday, starting Thursday, November 14, 2019, through Thursday, December 12, 2019, 5:30 pm- 9:00 pm MT.